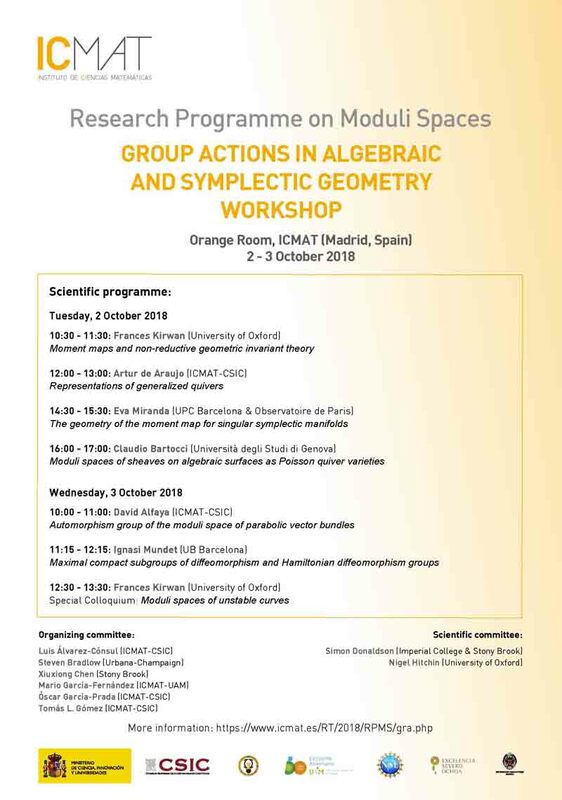 This is a joint activity of ICMAT Research Programme on Moduli Spaces (15 September — 15 December 2018) and the Spanish Red Temática de Geometría y Física — a national network in Geometry and Physics — RTGF. All interested are most welcome to attend this event. No registration is required, but we kindly ask intending participants to email l.alvarez-consul()icmat.es with confirmation of attendence. The workshop will take place at ICMAT in Madrid (Spain). 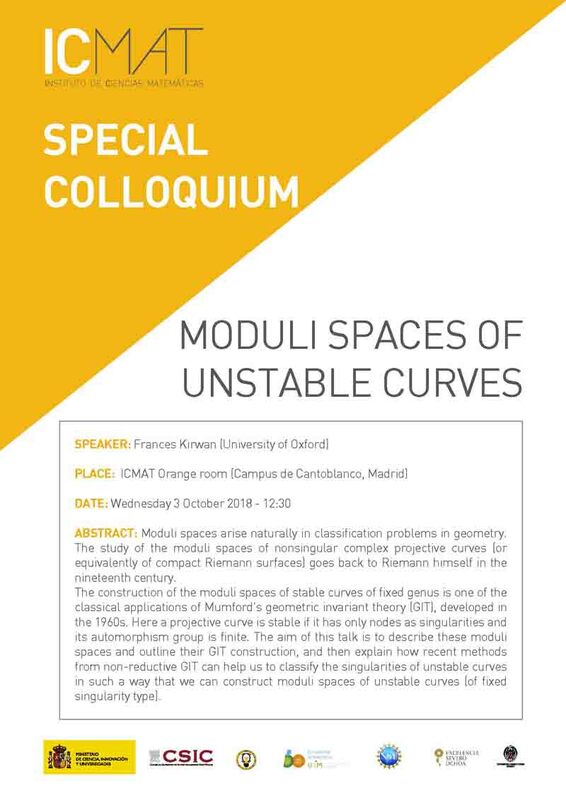 Talks will start on the morning of Tuesday 2nd of October and will end by lunch time on Wednesday 3rd of October. Click here to download the scientific programme, including the schedule, the titles and the abstracts of the lectures.